Your personal charisma is key to the success of an audio story. We fire up your magnetism to epic proportions and capture the immediate attention of your listener. Story Architecture is the cornerstone to an engaging narrative. The StoryPop method salts your message so your audience can't help but come back for more. You have to surprise your listeners. Butter should have NEVER ended up on popcorn but somehow it did! We discover your gourmet popcorn style to keep your listeners eating every word. To help you navigate the content of the StoryPop Method, and how we actually help YOU create unforgettable audio stories, we’ve organized it into a 3-Act Story Structure. 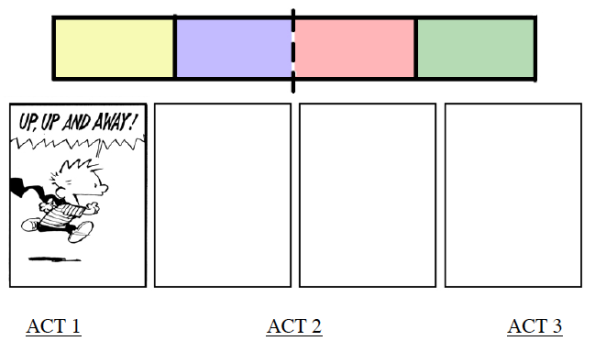 The First Act: We establish Your main characters, their relationships and the world they live in. Guide: Rye will be your weekly guide giving you advice, handouts, and tutorials showing you the building blocks of an engaging narrative. The Second Act: We resolve the problems initiated by the first act. Rising Action: We introduce you to a lot of concepts in the first act and now it’s time to put all those building blocks together. Peer-to-Peer: When the action is rising and the details of your audio project seem overwhelming we bring you into the “Storytribe,” a small group of authors, influencers, and businesses that will become an essential part of your story’s success. They will give you instant feedback, share their own stories and struggles, and give you the support you need when you need it most. There is no Kryptonite here! Resolution: We answer all of your questions and make sure you are blown away by this entire experience. This isn’t a course, or even training, this is just a part of YOUR story. When authors, influencers and businesses are so involved in the day to day operations it can be difficult to understand how powerful an audible story can be. They know who they want to reach and why, but how to clearly reach them is the hard part. StoryPop Studios brings clarity to your business by giving you a repeatable framework for all of your audible stories. With a better story there is instantly a better business. Stories resonate with the human spirit unlike any statistic or business jargon. If a business tells a great story then the listener will not only be engaged but repeat what they have heard. We know it can be difficult to make a story pop with engagement, and that is why we break down the process into three simple and fun steps. We help you bring the fire, salt and butter to your story. Flavoring your influence and spelling out success. Where do Audible Stories really fit into my Business? Podcasting, speaking, audiobooks, youtube, webinars, radio interviews, television appearances, tutorials, training, coaching, instructional videos, and the list goes on and on. If you have unforgettable audio stories, ALL of these platforms become a tool to leverage and share your message with the world, and more importantly with your niche. The StoryPop Method is taught by Rye Taylor, Story Architect for some of the largest influencers, authors and businesses out there. Rye has been a storyteller for decades and brings a unique talent for "Story Architecture" to the business world. Once your business learns the StoryPop Method it will be a repeatable framework for all aspects of your business. Register for the StoryPop Method today and build a better business by telling a better story.